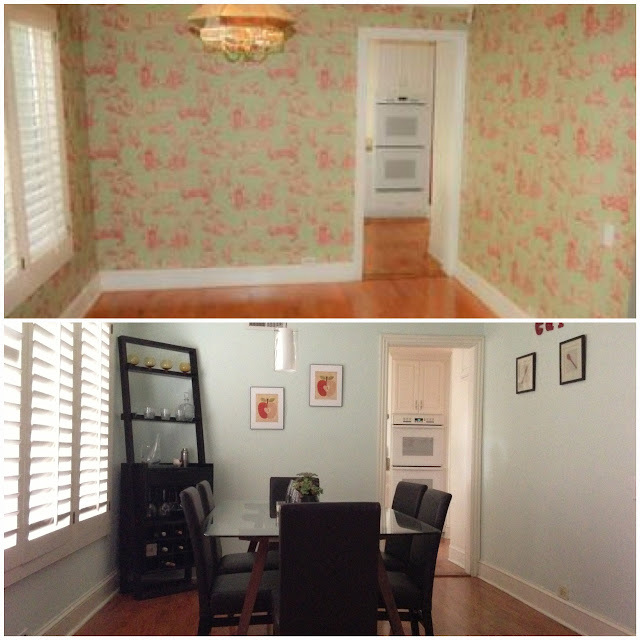 Our dining room went through a change. I don't think it was so drastic, but when I see pictures, I surely wouldn't want it the way it used to be! This was the listing picture of the dining room. The wallpaper was Victorian pink and green pattern! I know, so ugly! And the chandelier was bulky, with gold and mirrored details. Oh, and the light bulbs looked like fake candles! So cheesy! Here's a close up of the wallpaper. 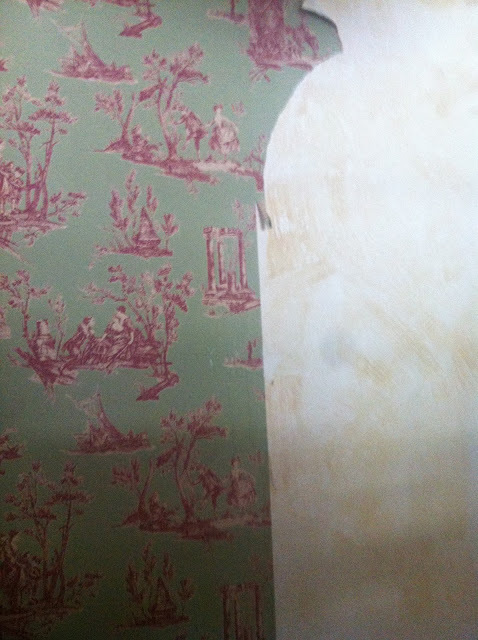 When we bought the house, I was up for the challenge of removing wallpaper, but we had so much wallpaper in the house that it made the job annoying. We lived with the wallpaper for about 4 months. I can't believe we went that long with it, but I was working full time that it made working on the dining room impossible. As soon as I had free time, I finally decided to tackle the job. The room no longer felt like it was eating you up. We still had our old dining room table, and the chandelier. The table was too small, and the lighting was outdated! I had mentioned before here that we were on a search for a dining table. And we finally found one! It is a danish modern-style inspired one. It makes our dining table look more open, and modern. And now, we can have more than 4 people seating on the table! Yay! I am not ashamed of my dining room like I used to be. And a plus is that my husband loves this room, as do I!